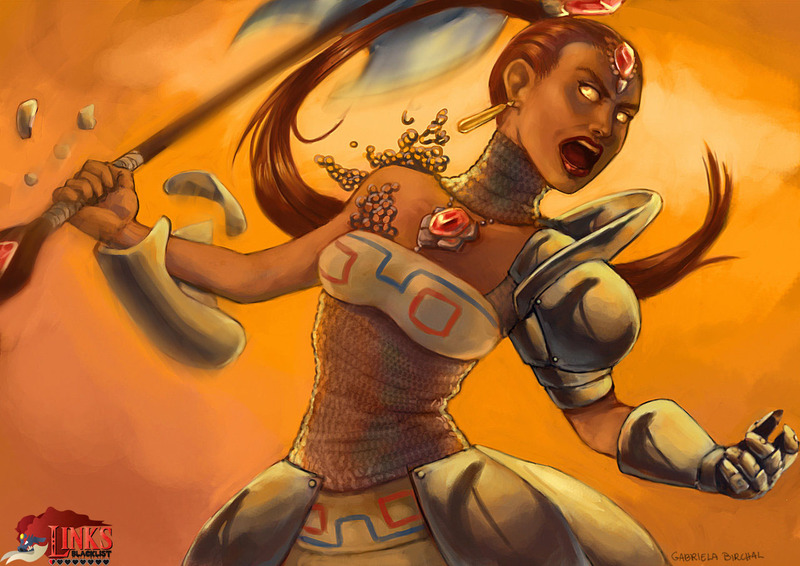 This illustration shows Nabooru, the Gerudo who rebells against Ganon in Zelda: Ocarina of Time, brainwashed and before the Iron Knuckle she is more or less trapped in by Twinrova. Nabooru is the second in command Gerudo, right after Ganon in Zelda: Ocarina of Time. 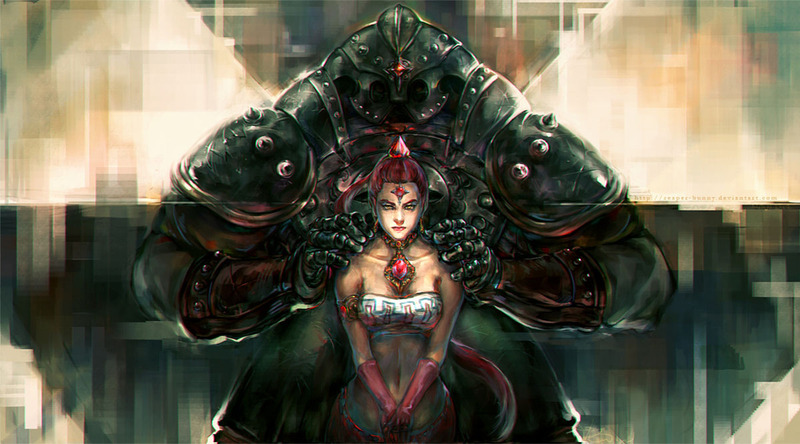 She helps Link after he freed her from being brainwashed and becomes the new Sage of Spirit. The second Nabooru submission which you can see above shows her in that moment where the armor is bursting and she is finally freed from it and is no longer brainwashed by Twinrova. This artwork was drawn by Gabriela Birchal from Brazil as part of the second round of LB as her second submission.